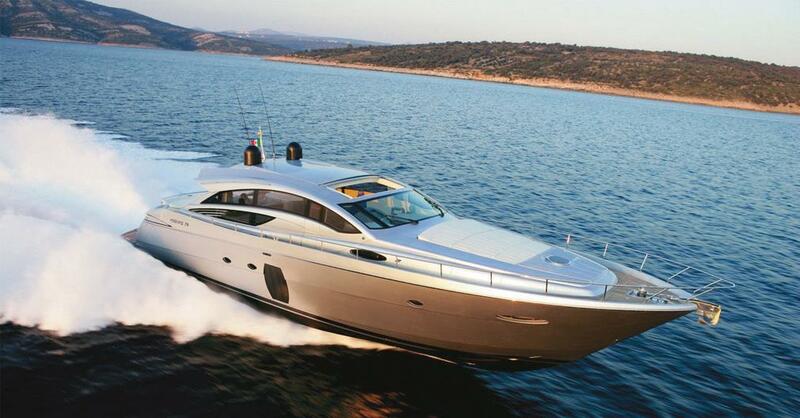 Luxury motor yacht Pershing 72 was launched in 2008 by the well-known Italian Pershing yachts and measures 22.26m. The salon is an open plan, blending seamlessly with the exteriors. The main salon features a large L shaped sofa and coffee table on the starboard side, with a full entertainment system to port. Elongated side windows infuse the space with natural light, illuminating the natural wood floors, pale wood joinery and crisp white side and overhead lining. 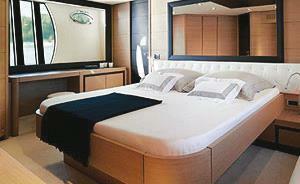 Below decks, three guest cabins are warm and welcoming with luscious cream carpets and natural wood joinery. 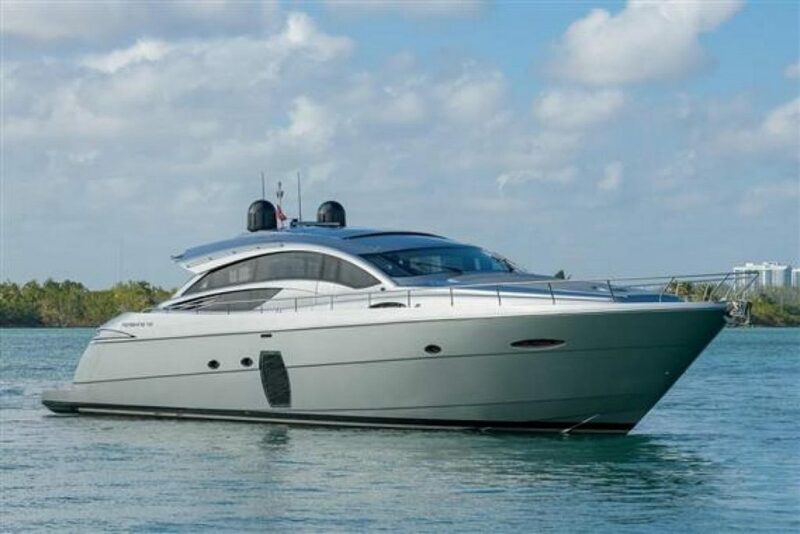 Exterior living is plentiful on the Pershing 72 motor yacht. The salon opens completely to the shaded aft deck and generous alfresco dining option. 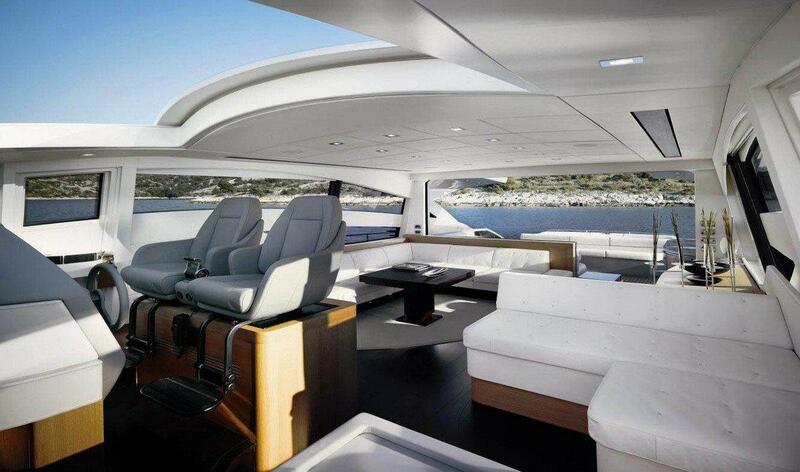 Further aft ample seating and a massive sunpad, provide a fabulous social venue. For the active in the group, an extended swim platform is the perfect area, to make use of the good array of water toys on offer, all effortlessly accessed from the large aft garage. 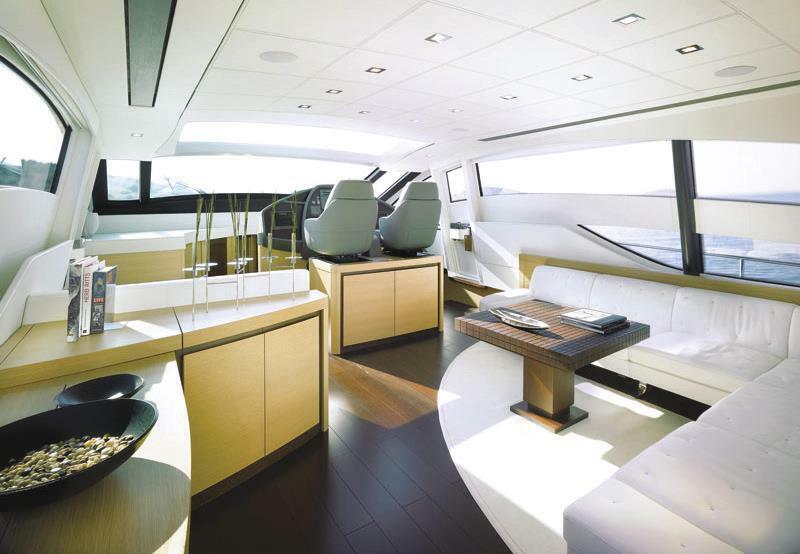 Sun lovers will be pleased with the capacious foredeck and additional double bow sunpad. 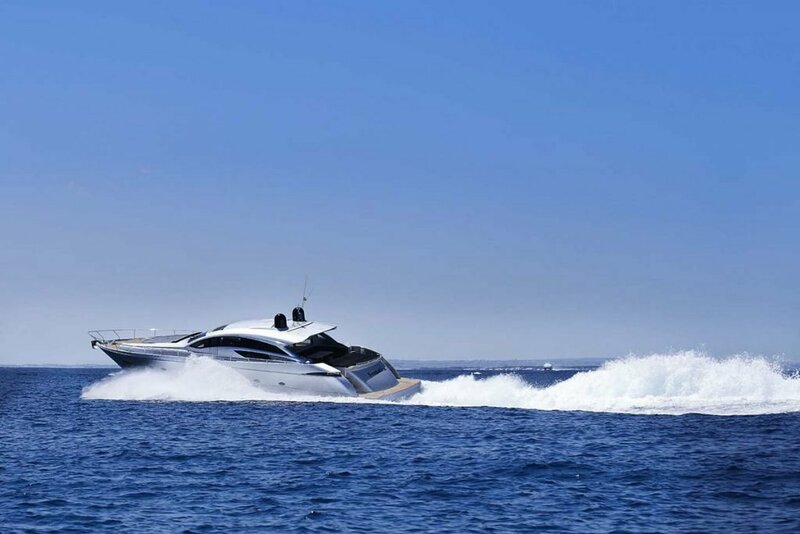 Luxury charter yacht Pershing 72 offers accommodation in 3 en-suite cabins, for up to 7 guests, each cabin featuring plenty of natural light and TV entertainment. 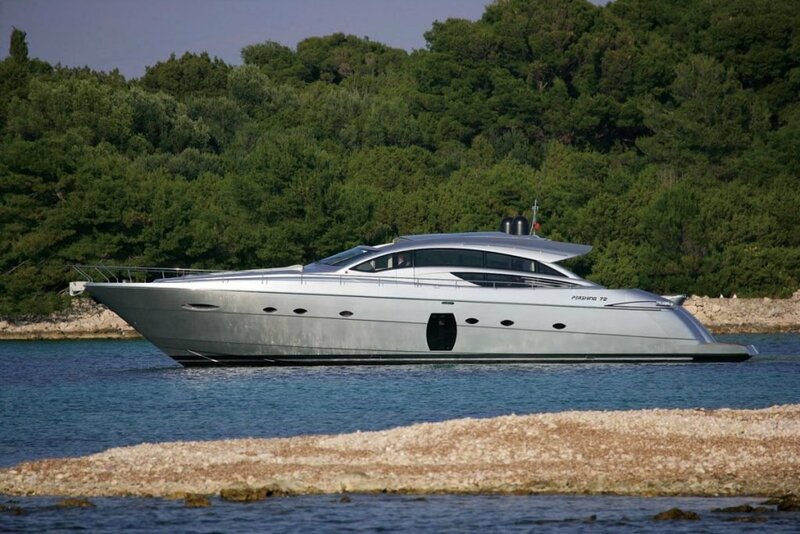 The master cabin is amidships and full beam of the yacht, with a center lined double bed, sofa and vanity. 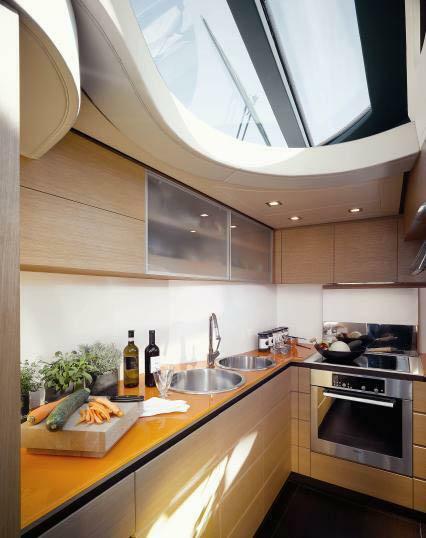 Panoramic windows in the master cabin on port and starboard boast idyllic views, while an overhead starlit ceiling creates a romantic ambiance. 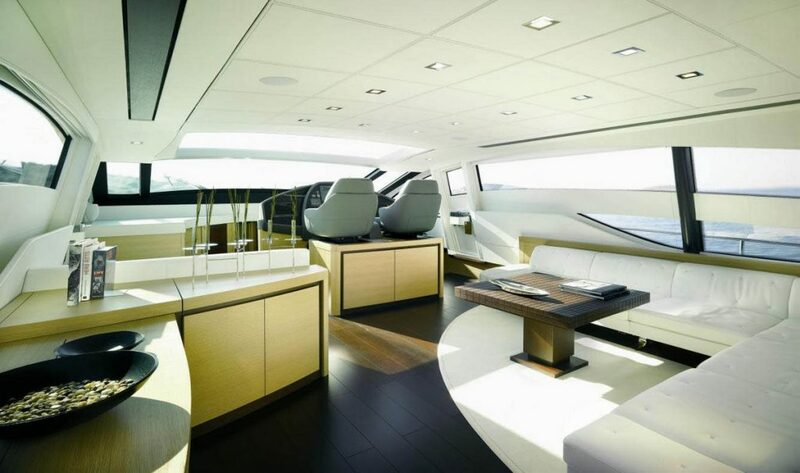 The VIP cabin is forward and full beam of the yacht, with a center lined double bed and port and starboard large, in hull windows. 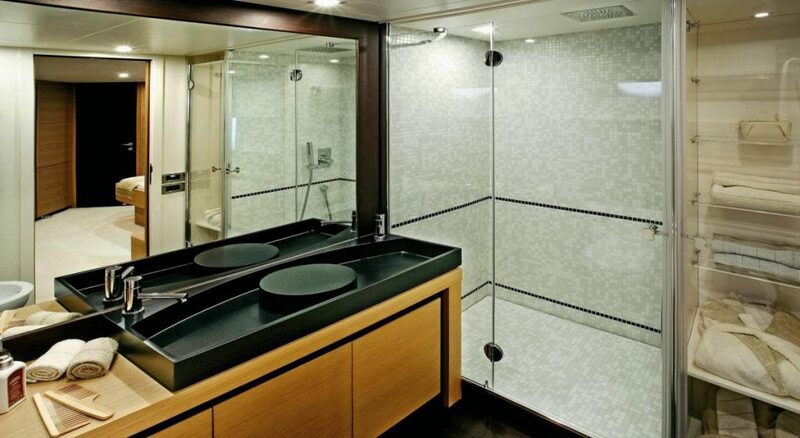 A guest twin cabin is on the port side, offering side by side twin beds and a Pullman berth, side ports and a large walled mirror, create a fantastic illusion of openness. 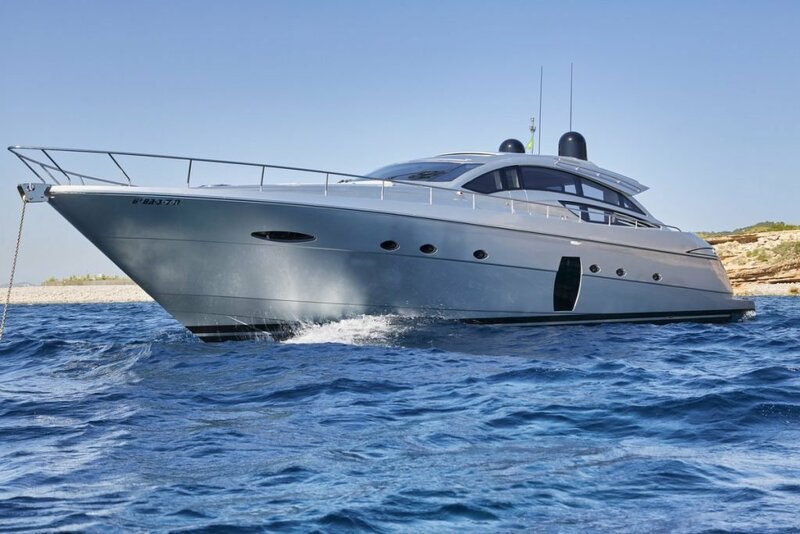 The Pershing 72 crewed charter yacht is fully air conditioned throughout, ensuring optimum comfort.